Cleaning out your cat’s litter box isn’t the most glamorous part of having a cat, and frankly, your cat has absolutely no idea why you partake in such a disgusting, backwards practice. Your cat doesn’t go rooting through your toilet, so why the heck are you going through theirs? 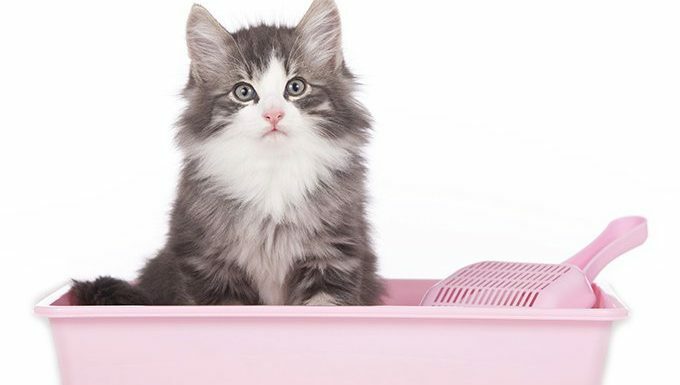 Luckily, January 22nd is known as Answer Your Cat’s Questions Day, so it’s a perfect time to sit your kitty down and explain the ins and outs of litter box cleaning. Here’s everything your cats wish they could ask you as you clean their litter box. Why Are You Un-burying My Poop? Cats bury their poop for a very specific reason, and it isn’t just because they want to leave things all neat and tidy. Cats’ urine and feces carry distinct territorial tracking pheromones. In the wild, dominant cats will leave their elimination out in the open to mark their territory. Submissive or smaller cats will often bury their excrement to prevent any territorial scuttles with larger cats. Your cat might not live in the wild, but they don’t necessarily know there aren’t any predators nearby. Your cat buries their poop as a way to stay safe, and they probably feel very confused when you do just the opposite with it. Can I Pee In The Box Again Now? 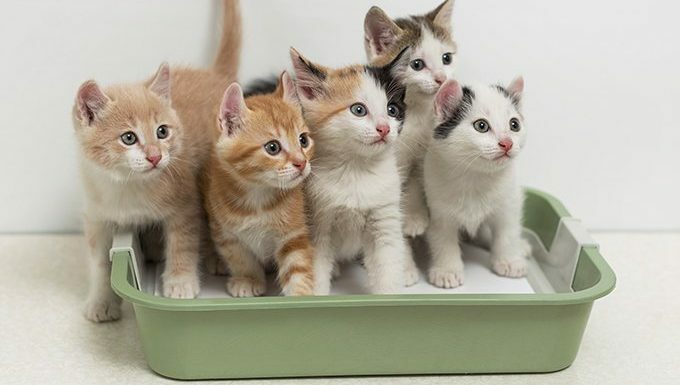 Cats may not have an instinct to poop or pee in a freshly cleaned litter box, but it sure can seem like it. Why do cats love using a freshly cleaned litter box? If your cat has more of a dominant personality, chances are they are re-marking their territory. The smell of fresh litter tells them that they need to restake their territorial claim. You’re Not Gonna Move The Litter Box, Are You? Moving your cat’s litter box unexpectedly will lead to confusion for your cat and, ultimately, poop and pee for you to clean up. If you are planning to move your cat’s litter box to a new location, do so in a gradual manner. Some experts suggest moving it a couple of inches a day until it’s in its new spot. Be sure to move your cat’s litter box to a quiet, private area, so your cat will be able to eliminate in peace. You’re Not Going To Let The Litter Box Get That Dirty Again, Right? If you neglected to clean your cat’s litter box for some time, chances are your cat decided to pee just outside of the litter box. This isn’t your cat exacting revenge on you–despite the scowl they’re giving you–they simply like to eliminate in clean places. Being the creatures of habit that they are, they will opt to use the restroom as close as they can to the litter box without actually standing in their old urine and feces. To help keep your cat healthy and reduce human allergies, you should be scooping out your cat’s litter box on a daily basis. If you have more than one cat, make sure you have enough litter boxes for each of them, and you may have to scoop them out once in the morning and once at night. What’s That New Stuff You Are Putting In There? Switching litter brands or types on your cat without any introduction can lead to litter box aversion and not-so-fun accidents for you to clean. If you are introducing a new litter, gradually mix it with the old litter. Slowly up the amount of new litter and lessen the amount of old litter until your cat is used to the new texture and brand. Failure to slowly introduce your cat to a new litter may mean new carpet stains for you. What else do you think your cat wonders about when you clean the litter box? Are you going to answer your cat’s questions for Answer Your Cat’s Questions Day? Let us know in the comments below!